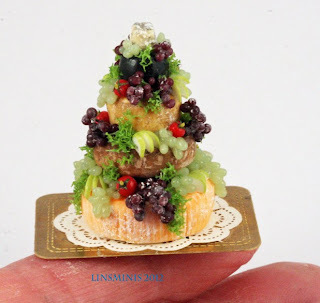 linsminiartform: A wedding cake for a cheese lover! 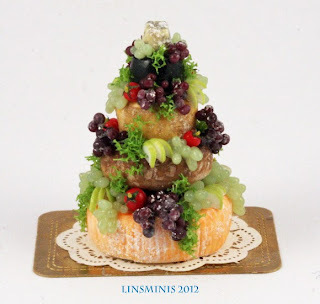 A wedding cake for a cheese lover! Linda, we've had drought falling from the Sky for days..
What a beautiful unique cake! The cheese wedding cake is a fabulous idea will you be bringing it to Kensington? Thanks girls..I'm pleased you like it! What a wonderful cake! It is perfect! I'm thinking about summer arriving!